I stocked up on chicken this week. I made some Homemade Chicken Nuggets, then bagged the rest. I did some bags with just whole breasts, and I diced the rest and put 1.5lbs per bag. 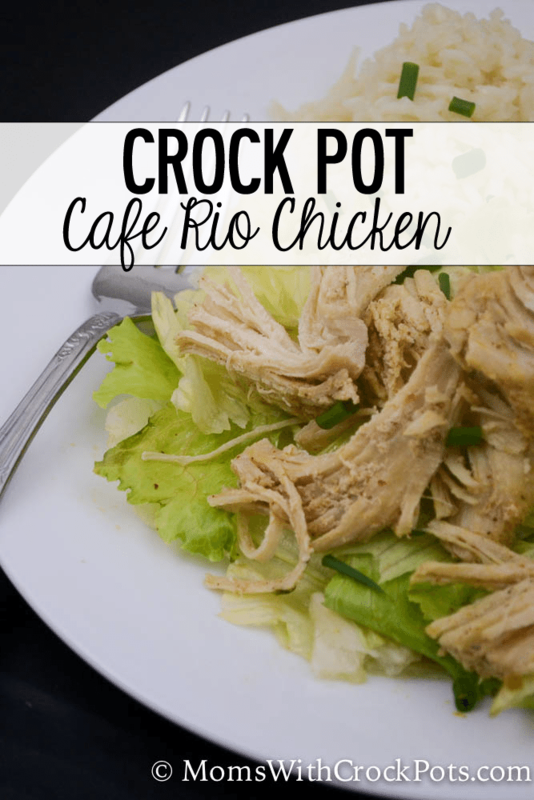 That is enough for 6 servings and perfect for crockpot meals like this one. 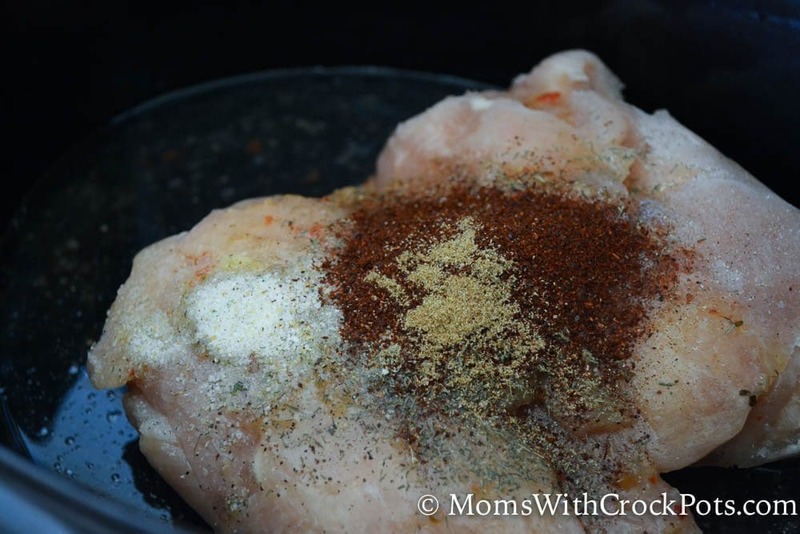 This is a perfect freezer meal because you can toss the chicken into the crockpot frozen. That is what I did. Then I just put the seasonings right in on top of it and let the crock pot do the rest. I also made my own ranch dressing mix instead of using the packets. I love making my own and it just tastes better. I came back and shredded it, and this is what I ended up with. 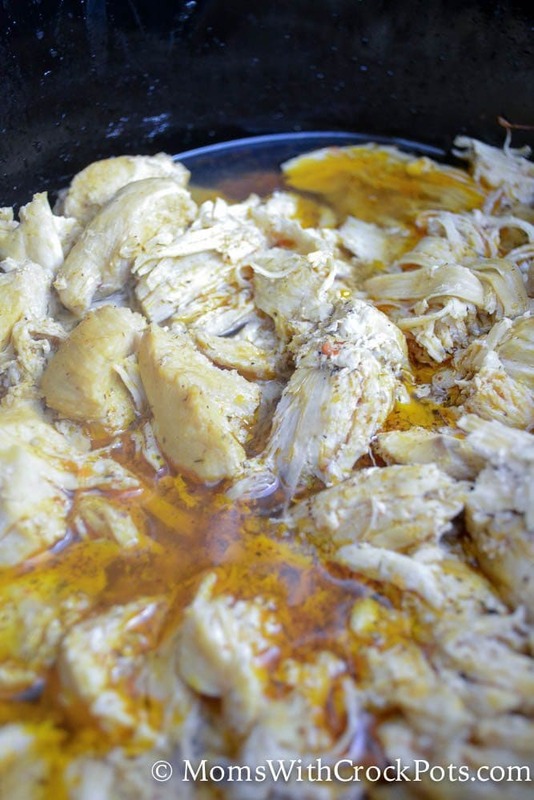 A crockpot full of some of the most flavorful moist chicken. I actually made a double batch, that way we have extras for lunches throughout the week. You can serve on a salad, with rice, on tortillas, you name it! DELICIOUS! 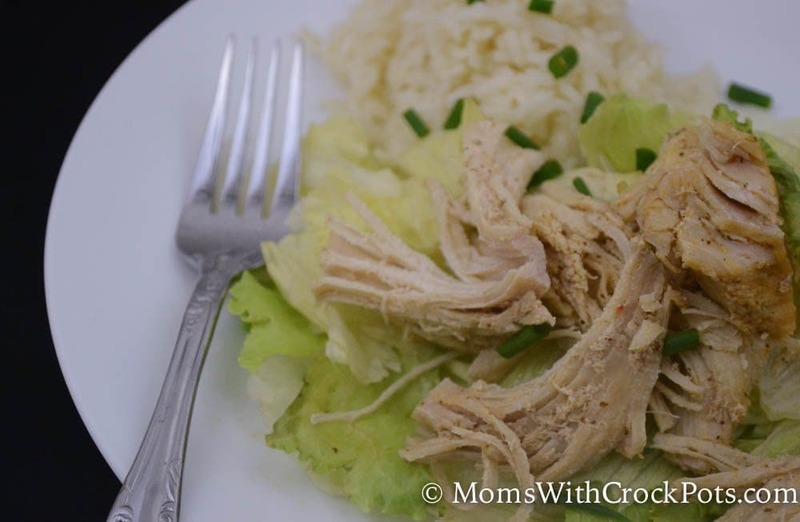 Dump everything into the crock pot and cook on low for 6 hours or until cooked through and easy to shred.